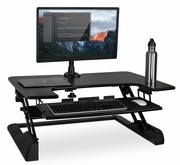 SIT TO STAND – Adjustable height standing desk workstation allows you to work sitting and standing throughout the day. Stepless height adjustment allows a comfortable standing or sitting position. Just squeeze the side handles and go from sitting to standing in seconds. EASY and QUICK TRANSITION – Go from sitting to standing in one easy smooth motion. Spring lift mechanism assists with the lifting motion, even with your computer and monitor on it. 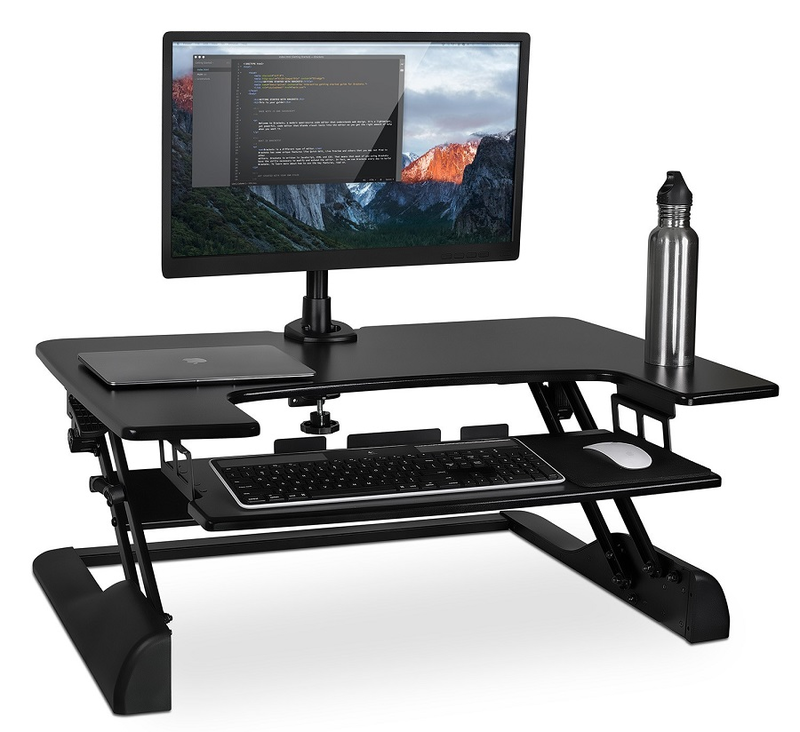 The sit-stand desk goes from 5.25 inch high to 19.75" inch high. SPACIOUS WORK AREA – The top surface measures 35" x 25" providing plenty of space for single monitor, dual monitor, and laptop + monitor setups. The secondary surface has enough space to fit a keyboard and a mouse.